For acrobats, tumblers and flying up and away! 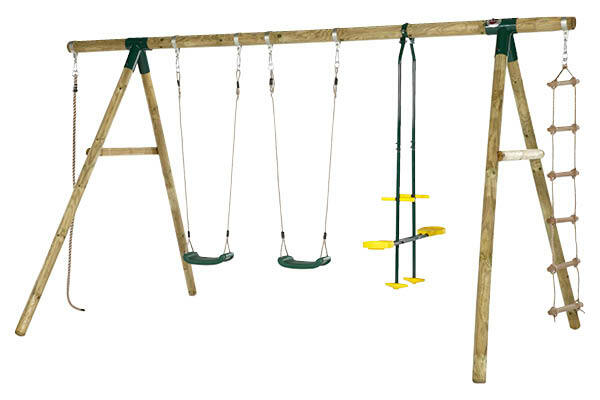 The Plum® Orang-Utan Wooden Swing Set has plenty of activities for swinging, climbing and gliding. 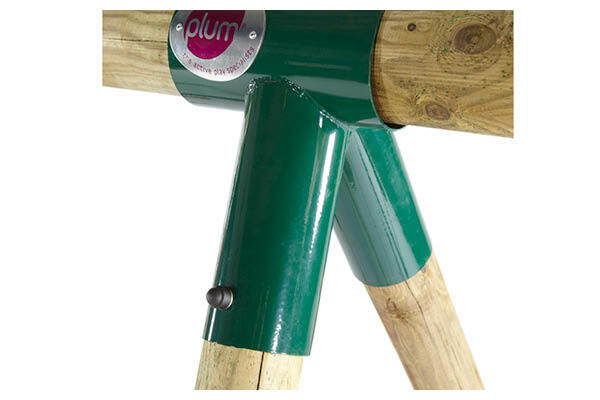 The wooden swing is constructed from Plum’s natural round pole timber, designed to blend beautifully into back gardens. This large playcentre is perfect for one, yet perfect for six, so the whole gang can be round and engaged in active play! 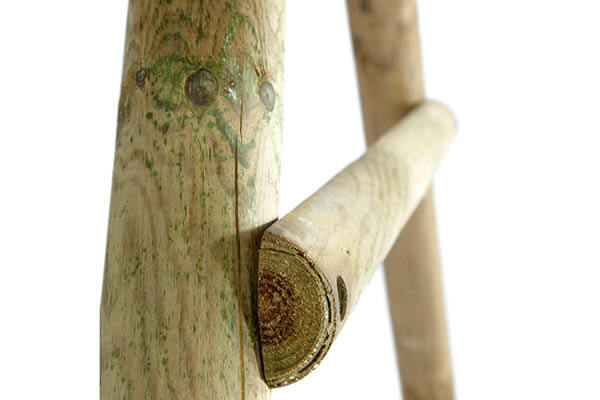 Made with FSC® certified timber, you can be sure that you’re investing in a high quality, ethically sourced product. No drilling is required thanks to the metal swing attachments that enclose around the pole which help to maintain the strength of the timber. 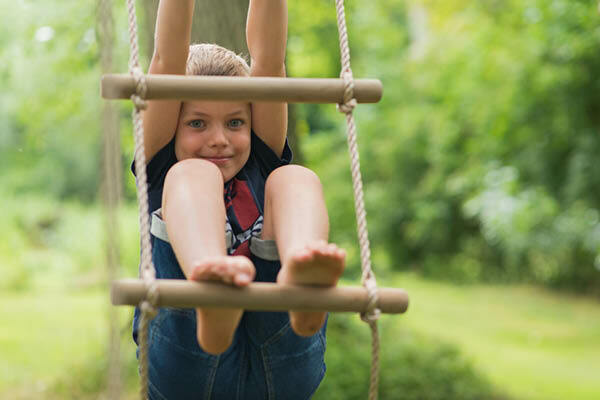 Not only this, the wooden cross braces give extra stability so as parents, you can have peace of mind that safety is at the heart of the design. Packed full of fun, exciting features, this will keep the kids entertained for hours! 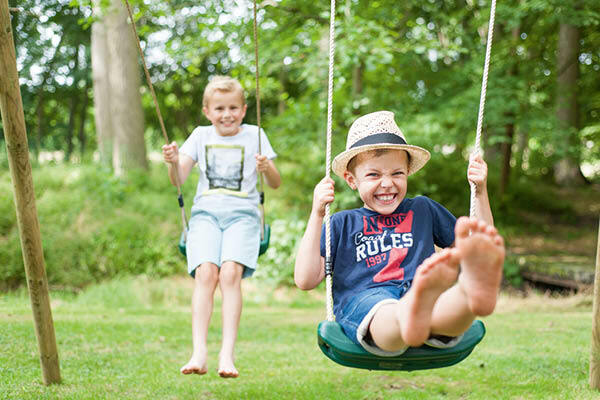 The soft feel ropes mean that little hands are safe while playing on this amazing swing set. 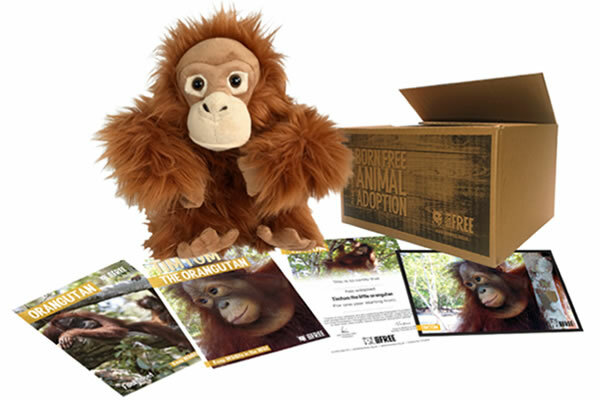 As part of our partnership with The Born Free Foundation, you will receive a free animal adoption pack with your purchase of the Orang-Utan.